Fort Greene, named after Revolutionary War general Nathanael Greene. This Brooklyn neighborhood is distinguished by its hilly park which, once held an actual fort. 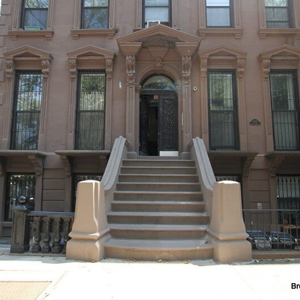 and its architecture, consisting of 19th-century brownstones. Also, it’s African-American culture, thriving restaurant scene and an enduring creative center. And it is just a 10-minute subway ride to Lower Manhattan. Making it a very sought after place of habitation!